Another year has drawn to a close and I wanted to take this time to thank you for all your support and wish you a Happy New Year! As I look back over the past year, I’m amazed at Alabama Pioneer’s phenomenal growth. 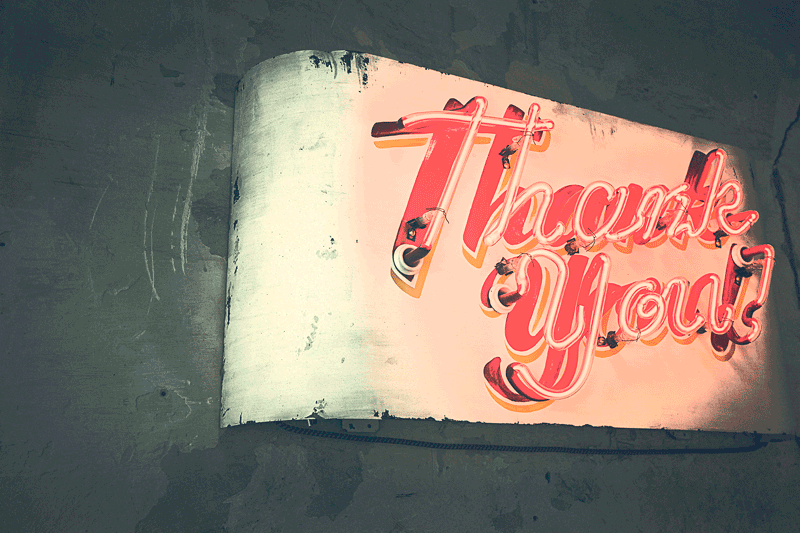 AP has had over 2,000,000 views by 239 countries and we have almost 71,000 fans on our Facebook page. This would not have happened without your support over the years. Thank you! My goal with Alabama Pioneers has always been to discover, preserve, document and share stories from Alabama’s rich history, and in so doing provide a truer image of her citizens than has previously been revealed to the world. While some may assume that Alabama Pioneers is operated by many people, actually AP is still only run by one person— Me, and I truly appreciate your kind words of support and your understanding when I make mistakes, typos, etc. in stories. 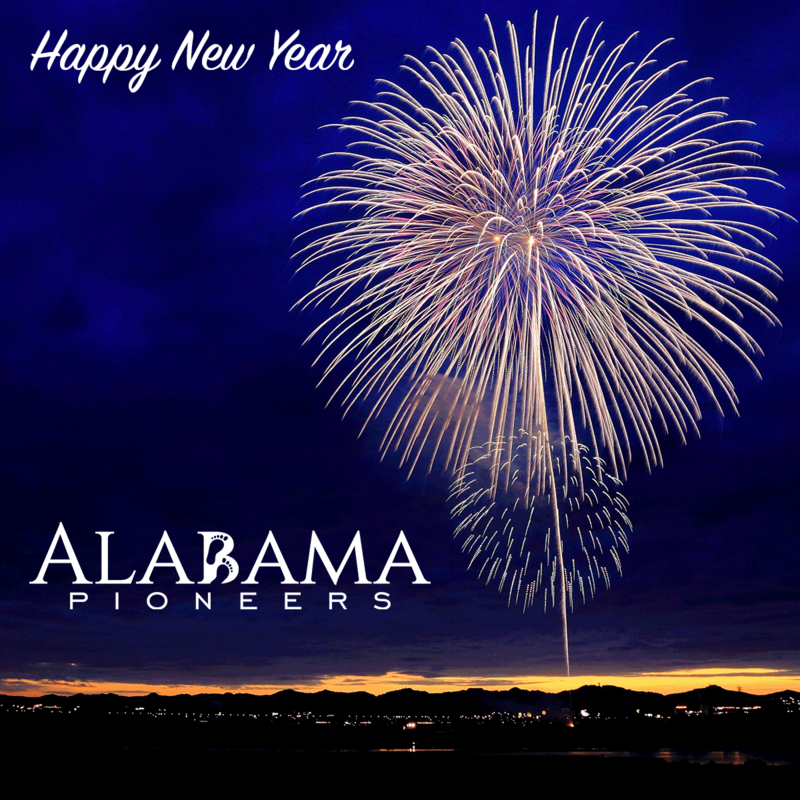 We have many exciting plans in the works for the coming year—great new stories, new ways of experiencing them, and an opportunity to become a part of the exclusive Alabama Pioneers community so keep reading, watching and sharing Alabama Pioneers on all your social media. Alabama Pioneers will continue to remain a FREE resource to discover stories about Alabama’s history. Throughout the past year, many people have asked about ways they can help me with the website so I thought I’d offer a few suggestions. As we grow, costs of maintaining and keeping the website safe for readers continues to rise. Donations of any amount, no matter how small, are greatly appreciated. 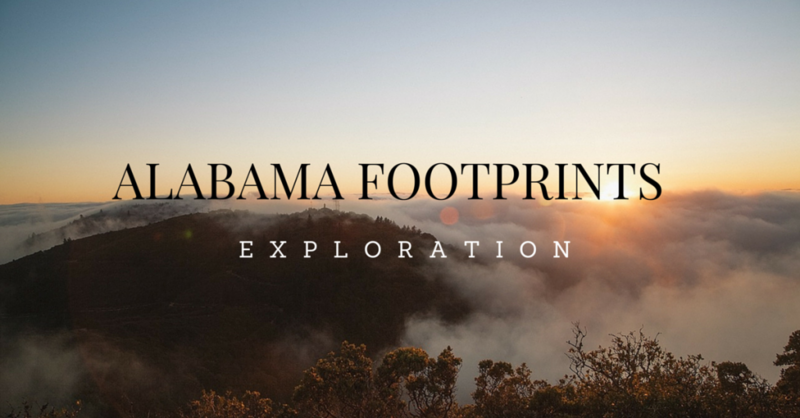 Purchase our Alabama Footprints series of books, and ask your local librarian or retail store to stock them. The sale of books enables me to offset expenses of the website. 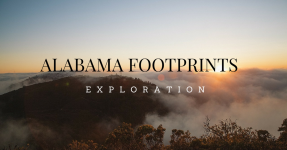 Our Alabama Footprints Series, starting with Alabama Footprints Exploration has now grown to seven books and covers lost and forgotten stories from the days of exploration in Alabama to when the Native Americans were removed, but we also have many other books. You can see them all at this link: Check out all our books here. Did you know that you can download and immediately read all our Kindle books for FREE with a Kindle unlimited membership and Kindle books can be read on any device, including computers. Click the button below to see how. New members can try Kindle Unlimited for FREE. Create your own legacy for your children on Alabama Pioneers. Share your articles and stories about Alabama’s past by becoming a contributing author. This is also a great opportunity for established authors to make their books known to our Alabama Pioneers fan base. (See rules here). LIKE and SHARE stories you discover on Alabama Pioneers with your family and friends via Facebook, Instagram, Twitter and other social networks. Let others know the true stories of our great State of Alabama. If you haven’t already done so, sign up for our popular FREE daily newsletter at the bottom of this page and share it with others. The newsletter is emailed daily to all subscribers with links to new stories and articles on the website. We’re celebrating! Catch up on the entire series! Buy two and get one FREE! 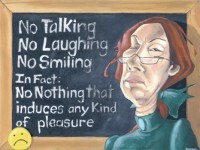 Have you ever had a teacher like this? How do you spend your New Year’s Day? Shelby County once had the reputation as being the “moonshingest” county in the state of Alabama. 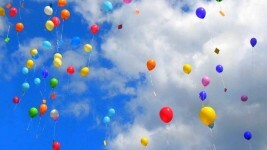 MONDAY MUSINGS: Life without a friend is . 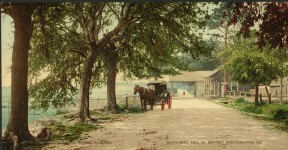 . .
We came a long ways with the Golf courses too. Thanks. It has been a good year. Happy New Year! Your work is awesome. Love the articles. Thanks for all your efforts and sharing your passion. It reminds us to be passionate about this state and the folks who contributed so much to make it so. Can’t wait to read your books. Ordering today! Happy New Year! Donna, I admire your goal–show a true picture of our state and it’s rich history. I’m sure your research is time consuming and at times exhausting. Meeting deadlines itself is a major issue, at least it is for me. But, you have met your goal, above and beyond. I appreciate your efforts. I wish you continued success, health, and happiness for this new year—-2017! Thank you Peggy! It does take a lot of time but comments like yours keep me going! Love the newsletter and your books. Really fun and informative stuff. Keep it up. Happy New Year! Happy New Year to Donna and her staff. Alabama Pioneers is,by far,my favorite Website. 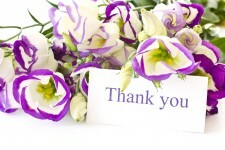 I love Alabama Pioneer’s- I wish to express my sincere gratitude to Mrs. Donna Causey for her EXCELLENT work. I enjoy the postings beyond all belief. Please DO NOT ever stop. Thanks. Have you subscribed to our FREE daily newsletter?